Monk | CHBA NS 2018 Renovator of the Year! CHBA NS 2018 Renovator of the Year! 12 Oct CHBA NS 2018 Renovator of the Year! Monk Renovations may have won the coveted title of the Canadian Home Builders’ Association Nova Scotia Renovator of the Year, however company owner, Dan Monk, is quick to assert there is nothing special about the business. If this seems like a strange way of promoting one’s life’s work, it quickly becomes clear what the renovation professional means. “We are constantly complimented on our clear communications and quick response times,” explains Monk. Recently, for instance, a potential client emailed Monk to say the company had already impressed them simply by getting back to them in response to a query. That’s right, they were complimented for emailing someone back. Currently, Monk Renovations is booking jobs up to three months in advance, but the wait isn’t deterring anyone from having the company do the job they need. And Dan Monk makes it a point to be fully honest about how long customers may have to wait in the queue. Monk himself began working in construction at the age of 16, lugging and learning in the trenches. His interest in the field led him to pursue a degree in Civil Engineering from Dalhousie. After graduating in 1993, he worked with Atlantic Industries Limited, a national bridge and infrastructure company, eventually taking on the role of Regional Manager for Alberta. But his strong roots in Nova Scotia called him back home, where he took a position as project manager and estimator with Dexter Construction. And then, in 2009, he incorporated Monk Renovations. But he wasn’t finished learning. Six years after establishing the business, Monk obtained his Interprovincial Red Seal Certification in carpentry and is also a Certified Aging in Place (CAPS) Renovator. Further, Monk Renovations holds a RenoMark Certification through the Canadian Home Builders’ Association- Nova Scotia. This means Monk works only with licensed professionals, obtains all applicable building permits and is bound to a national code of ethics and conduct. 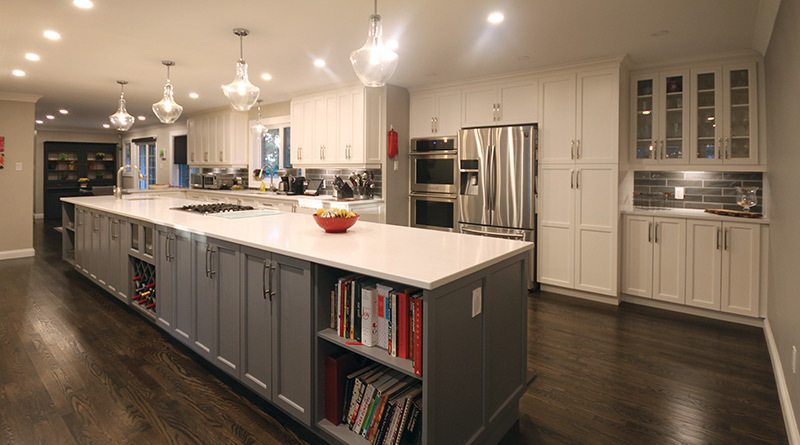 Although Monk has over 25 years of construction experience, is a Civil Engineer, holds a Red Seal and has won several awards and distinctions, including this years’ Renovator of the Year, none of this makes Monk Renovations exceptional, the professional claims. Instead, it appears that what makes Monk Renovations stand apart from some of the others is what should be the most simple aspects of business. This work includes doing what’s right for the job and for the client. As an engineer and as a carpenter, Monk leads his team in finding the right solutions to increase both the functionality and the look of your home. Monk Renovations can assist with everything from kitchen renovations to bathrooms and ensuites, to basements, home additions and exterior renovations and decks. Every job, large and small, takes the atheistic of the whole home into consideration. And Monk always — always — provides the most accurate quote possible. Sometimes it is unavoidable that a job runs over budget, due to unforeseen circumstances or a change in customer request. In this case the client is made aware of it immediately and asked to approve of the new cost. The company’s A+ rating with the Better Business Bureau speaks to their strong customer service ethic. In fact, Monk considers his company to have a long way to go. Part of that responsibility is to maintain transparency with the client. Customers of Monk Renovations are quick to express their appreciation of the detail of their estimate. Quotes provided by Monk include all the project specifics, as well as all terms and conditions, spelled out in clear language. The detailed quote is then signed by both Monk Renovations and the client — and is considered a contract. “CHBA NS speaks for the residential construction industry here in Nova Scotia,” says an CHBA NS spokesperson. The Association plays a lead role in promoting quality in construction and represents over 300 members — a variety of organizations comprised of professional builders, renovators, developers and others in the residential construction industry. Some of the crew at Monk Renovations, L-R: Rob McLean, Estimator/Project Manager; Dana Skeir, Carpenter; Darrell Meyers, Carpenter; Dan Monk, Owner; Ryan Wood, Carpenter; Tyler Durette, Apprentice Carpenter; Janet Hodgeson, Project Coordinator. It’s been more than a few years since Dan Monk was a teenager picking up whatever work he could find on a construction site. Today, 25 years later, it is not unusual for him to be managing projects that have two million dollar budgets. But for him, the differences are not in the details. The small powder room booked to be renovated next week is as carefully planned as the full house renovation also in the books in the next month. The details of each job are equally important to the success of Monk Renovations. We often assume the key to business success is complicated. Or that perhaps the owner has been ‘lucky’. For award-winning Monk Renovations neither of these assumptions are true. The truth is that Dan Monk came from humble Maritime beginnings, holds himself to professional standards and has built his company the way he builds on site — by steadily plugging away, doing good work and being honest.